Many of us harbour dreams of moving to some wild, far-flung destination, however not so many of us manage to actually pull this off. Meet Katerina Benova, a software developer who achieved her dream of moving to a remote Canadian island in April 2016, and also managed to keep her job in the process. Katerina grew up in a Czech town called Pardubice, and started working for translation platform Memsource at their Prague office in 2013. Prior to Memsource, she learned the translation business working as a CAT tool specialist, and now, when she isn’t busy camping with bears and kayaking with orcas, she describes her role as comprising 1/3 support, 1/3 programming and 1/3 testing. She currently resides on the small island of Quadra in British Columbia, and works remotely for Memsource from her front yard. 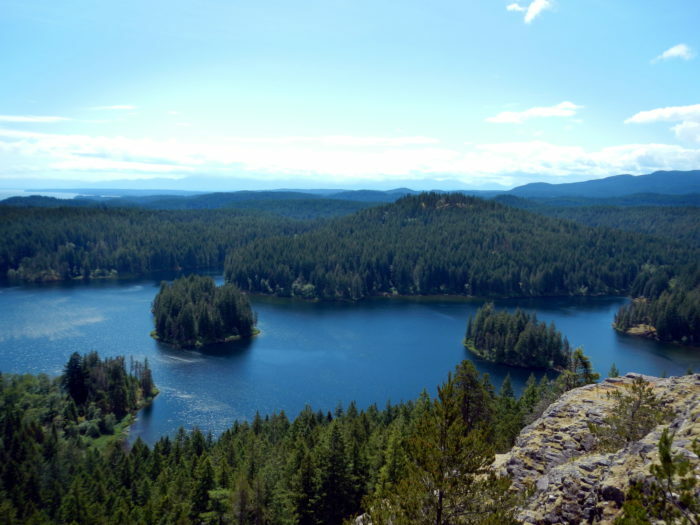 She decided she wanted to move to Quadra primarily due to her love of nature. When asked what she loves about the island so much, she talks of the wilderness and the beauty, along with the friendly local community and incredible wildlife that also reside here. She visited the area numerous times on vacation, and eventually decided that she wanted to try living there. But how did she make this possible? It is one thing to book a flight to the middle of nowhere, but quite another to settle and find a rewarding career, let alone keep your current job (indeed, many people would move precisely to escape their current job). Katerina was rather lucky in that she not only enjoyed her job, but that there was a notable benefit to her company to have her move to a different timezone. As an ever-growing global entity, Memsource wanted to have personnel available around the clock in order to offer real-time support to their clients in the Americas. With Quadra being nine hours behind Prague, this was the perfect opportunity to have someone fill this role. When asked how she finds working in Canada compared to Prague, she is quick to admit that the the biggest difference is that she now has no workmates, which can sometimes be a challenge. In certain situations it is obviously advantageous to discuss things face to face, particularly when it’s a complicated issue. Now she discusses everything with her colleagues over Skype. The work itself however is more or less the same, and the negatives are certainly counterbalanced by the fact that she gets to work from her front garden, surrounded by the Canadian wilderness with the ocean a few minutes away. 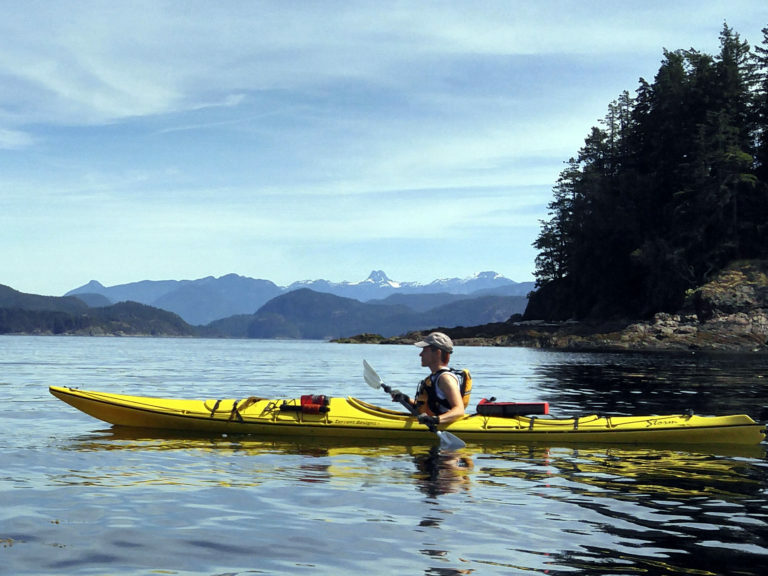 So, what does a typical day look like for Katerina on Quadra? Can she work from her kayak?? Not quite. She gets up early and comes online at 7am (in her front garden of course), which is 4pm Prague time. She then catches up with her European colleagues via Skype to brainstorm the latest issues. Problems like bugs also need to be discussed with the developers, and sometimes a customer will require an entirely new function or feature. In a nutshell, it is her job to help Memsource customers when something isn’t working, or when they require something new. This could range from problems logging in, to complex file import issues. Indeed, one of her specialities is dealing with XML files. These are often complicated, because when a user imports them into Memsource, they have to specify which parts of the file should and should not be imported for translation. Another common problem she deals with is API requests. The customer will usually complain that they got an unexpected response from the API code; she has to go through the code baseline and try to figure out what’s wrong with it (or where the client made a mistake). And then of course, every time a new feature is introduced or a bug is fixed, Katerina is the one who tests it. However, despite her day potentially entailing a number of different things, she stresses that her support role always takes priority. Does she get many questions regarding the Quality Assurance feature? In a word, no. Despite the huge benefits offered by this tool, most users don’t use it, and many appear not even to know about it. Quality Assurance can help users with all kinds of issues, like checking for mistakes, repetitions, missing punctuation etc. Having been with Memsource support for a relatively long time, Katerina is better qualified than most to comment on how user trends and questions have changed over recent years. When she started back in 2013, Memsource was still quite new, and the majority of its users were relatively technologically adept and excited by the concept of a customizable, cloud-based CAT-tool. Fast-forward to 2016 and the Memsource user-base has grown almost sevenfold to around 70,000. Yes, they still have many ‘techy’ clients, however as they have become more of a global entity, they have acquired many more corporation and big business-type clients, who perhaps are not so interested in CAT tools. So, are users becoming less technically proficient (or even lazier?!) in her opinion? Not exactly. However, as Memsource have expanded, they have encountered increasing numbers of clients with no CAT tool experience at all. Some are not very tech savvy, some are just not interested, and some are actually terrified of CAT tools. It is for these reasons, she believes, that a lot of their newer users are not so active and tend not to bother trying to figure it out by themselves. How does overall user feedback compare now to when she started? With regards to more experienced customers who have been using Memsource for a number of years, she tells us that they tend to be very proficient and don’t often ask for help. They do, however, regularly ask for new features. A number of companies now exclusively use Memsource for their translation purposes and have fully integrated the platform into their systems. A side-effect of this however is that they often need something changed or something new added. These companies are basically just always trying to find new ways to integrate with Memsource more efficiently. So, what are Katerina’s key recommendations for users? Firstly, that they should learn how to use Quality Assurance as soon as possible, and that they should remember to run it on every project; proper use of this feature would eliminate many of the problems that people face. 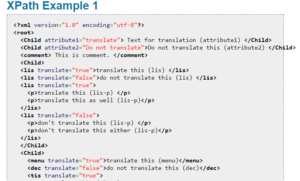 Secondly, if translating on a regular basis, they should learn as much as they can about XML files. As mentioned, these files cause users the most problems in general, however they can offer some considerable benefits as well. The more familiar people become with this file format, the smoother their experience is going to become. As for project managers: they should learn the correct procedures of how to assign workflow steps in Memsource, and they should also learn how to use the pre-translation feature properly, as this can significantly speed up the process and many are still not using it. What in her opinion distinguishes Memsource from its competitors? Lastly, what does she personally think about Memsource? ‘Overall, I think we are a very good tool, and my advice is that users should to try to take an interest in the tech side of Memsource. Our happiest clients are definitely the ones who do some digging and take full advantage of the services we provide; you might just be surprised by what you find when you go down this path. 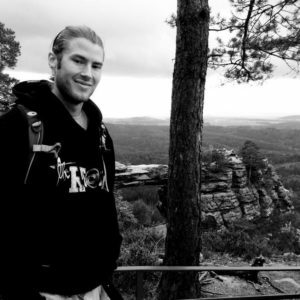 James Austin is a Prague-based copywriter for Memsource, musician and fitness enthusiast.